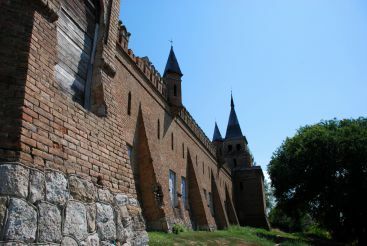 In the Zaporozhye region is an outstanding architectural monument - the castle Popov. 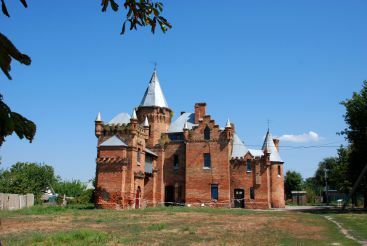 Manor nobles Popov was built in the second half of the 19th century in the city Vasilevka. 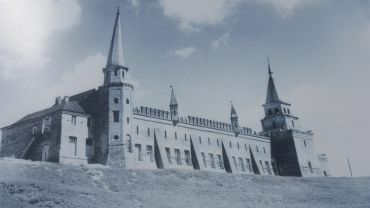 This building is one of the few castle complexes, survived to our time. 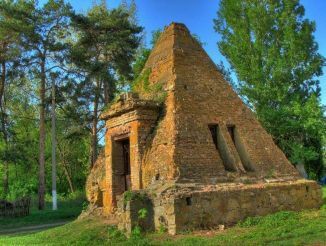 In the Zaporozhye region there are not many landmarks. The region is best known for its wildlife. 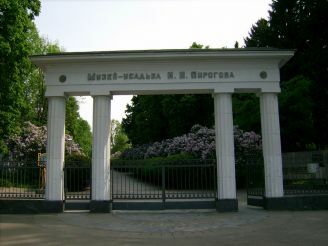 Therefore manor Popova - a valuable historical monument. 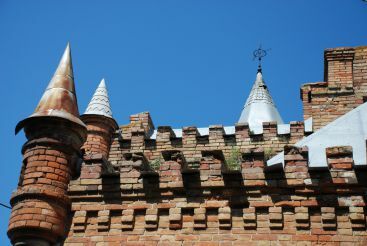 The castle is a masterpiece of architecture of world importance, it deserves the attention of tourists. 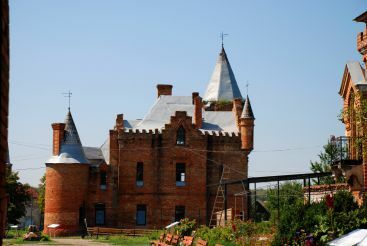 The museum-reserve includes a historical complex - "Manor landlord period of the Wild Field", and architecture - dating from the 19th century. 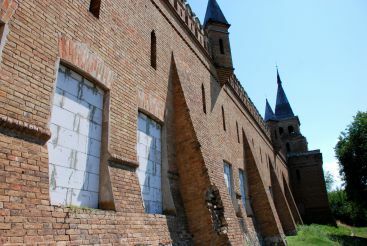 Facilities striking beauty, a quality in masonry walls. 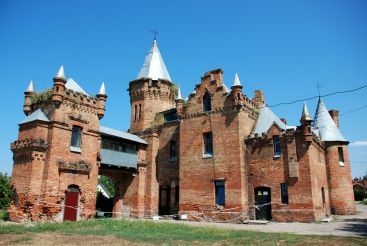 On the estate there are three outbuildings, stables and a lookout tower. 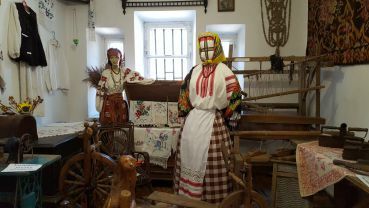 Museum "Manor Popova" is situated in the western wing, where there are ethnographic hall, an exhibition dedicated to the events of World War II, also here the works of local artists. 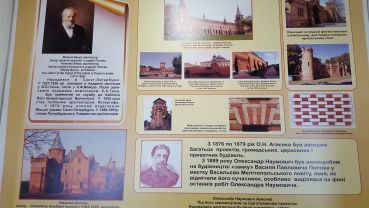 Especially interesting is the hall with exhibits from the castle Popov. 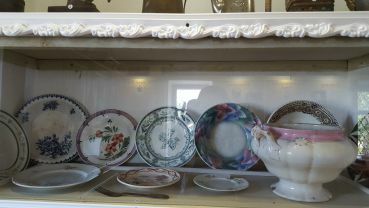 Here you can see elements of decor, pictures and documents, personal objects, antique embroidery. 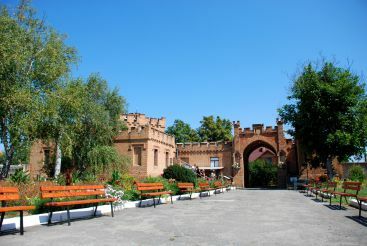 "Manor Popova" - is part of Ukrainian culture. 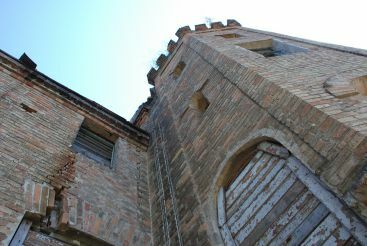 However, as with many domestic sites, the complex is in a deplorable state. 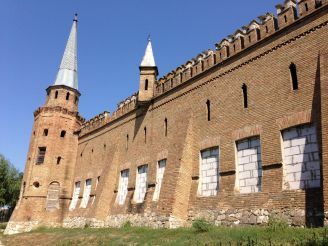 In order to keep this castle, you need to spend some serious restoration measures. Всего в сорока километрах от Запорожья, в городке Васильевка, находится старинное поместье XIX века. Это - известный на всю Украину замок Попова. Пышный дворец был построен в степи помещиком Василием Поповым еще в 1894 году, и по своей архитектуре напоминал средневековые замки Европы. Позже именно в этом месте хотел основать свою педагогическую колонию выдающийся А. Макаренко. Во время экскурсии в замке Попова мы сможем узнать больше о его неповторимую историю, полную легенд и тайн.Также во время поездки мы посетим зоопарк, в котором обитают величественные львы, тигры и могутны медведи. Вы увидите, насколько ручными могут быть эти дикие животные. 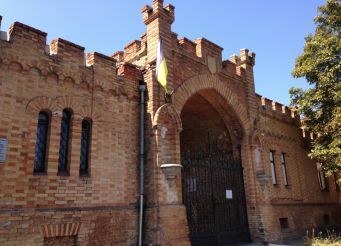 Тур «Фестиваль «Покрова на Хортиці», «Кам’яна могила» та Петриківка». На Покрову гайда на козацьку Січ! Фестиваль «Покрова на Хортиці» – це епіцентр святкувань для нащадків козацтва, потомків славних запоріжців. Він відбувається на легендарному острові Хортиця. 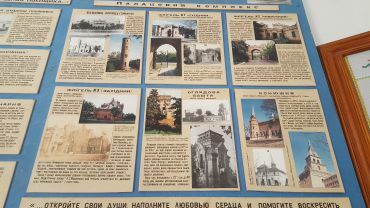 Тут подія збирає шанувальників автентичної української культури. 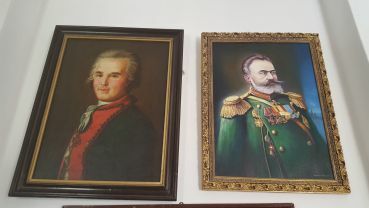 Це бойові мистецтва та ігри, народне мистецтво й музика, козацькі військові змагання, а також смачний куліш з ароматними узварами… Все що завгодно, аби тільки ви вдосталь натішилися запорізькою вольницею. 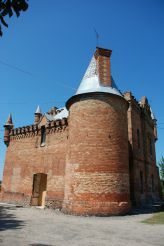 Do reconstructed castle Popov in Vasilevka? 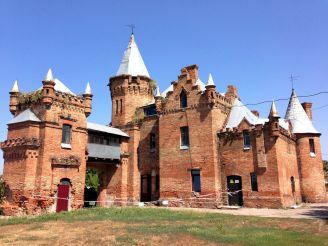 For the restoration of the castle Popov in Vasilevka of Zaporizhia region, according to the Department of Culture of Zaporizhia regional administration takes approximately 30-40 million. 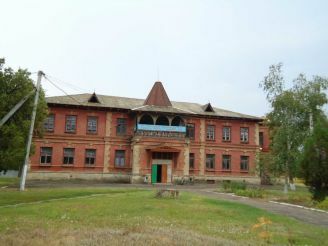 However, at the session of Zaporizhzhya regional council refused to consider the issue. © IGotoWorld.com - Your GUIDE TO the WORLD. All rights reserved. Full or partial copying of materials is prohibited. Your attention and time spent on the site IGotoWorld.com is greatly appreciated. If you have any questions, wishes, complaints, or you desire to learn more about us, select the area you are interested in and click the link to make a comment or ask a question.